Born in Plymouth in 1891, Paltridge played local football for Woodland Stars, Crownhill and Woodland Villa before joining Argyle in August 1912. 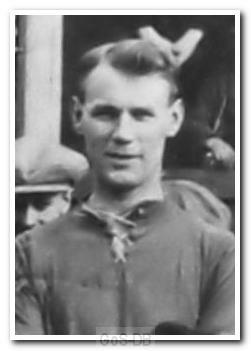 A right-half, he made only occasional appearances for the first team before leaving for Midland League side Chesterfield Town in April 1914. The outbreak of war saw Chesterfield Town put into liquidation but Paltridge returned to the town in 1919, signing for the newly formed Chesterfield Municipal, and helped the club win the Midland League title. In December 1920 the club became Chesterfield FC and the following year were founder members of the Third Division (North). Paltridge made 29 appearances during that first season of League football and also went on to play for Alfreton Town.